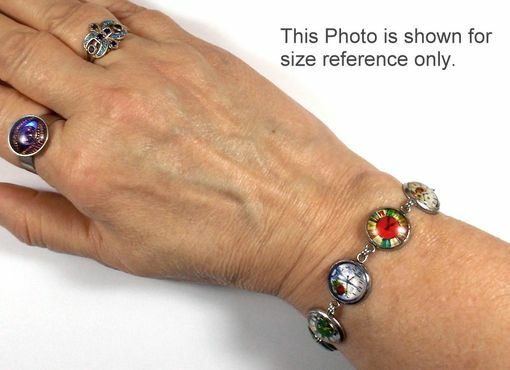 7-inch bracelet with a 2 inch exte2-inch. Most of my glass photo domes are my own designs. I print them on a high-resolution color laser printer and use the best quality glass. 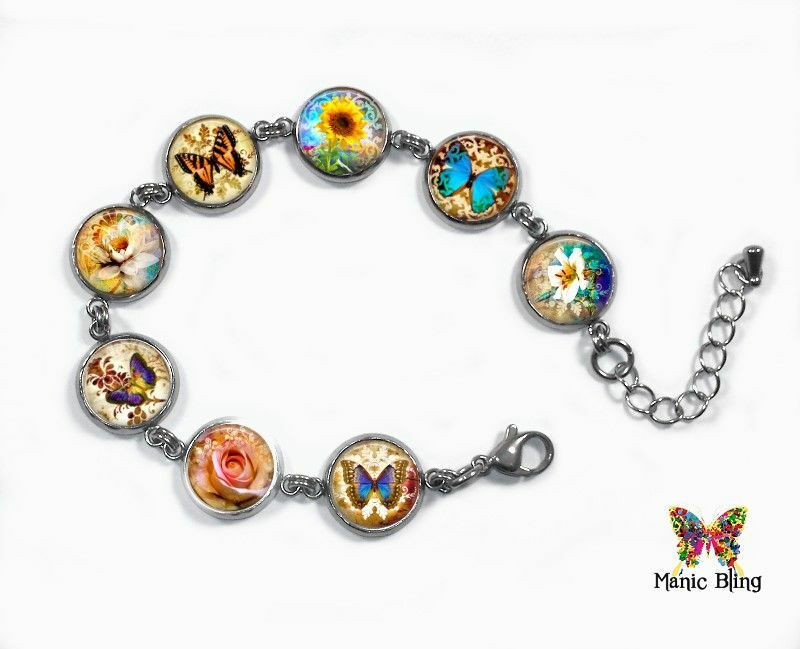 Your bracelet will be awesomely clear and bright.